The American Society of Civil Engineers gave America's bridges a C+. See which municipalities are investing resources to improve that score. According to the American Society of Civil Engineers (ASCE) 2013 “Report Card,” America’s infrastructure is quickly deteriorating. The group warns immediate action is necessary to maintain the safety of our nation’s bridges, roadways, dams and levees. America’s bridges, in particular, need attention. Although the ASCE rated the condition of America’s bridges a C+, the second-highest grade of any category in the report card, the group says one in nine of the nation’s bridges are structurally deficient, and the average age of an American bridge is 42 years. The ASCE recommends an annual $8 billion investment in bridges to address the estimated $76 billion need. Govalytics, a sales and marketing tool for companies looking to contract with local governments, found several municipalities in the nation’s top 25 MSA’s already making investments. 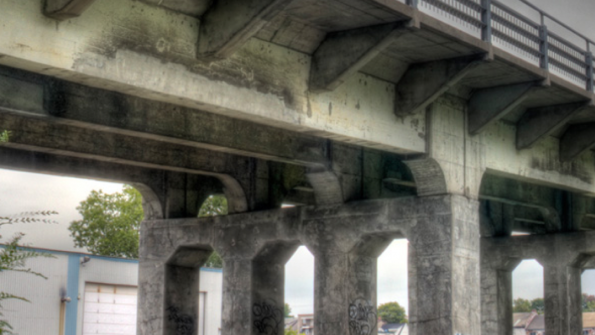 Here are the top five capital projects related to bridges within the top 25 MSAs in 2013.